People can't stop talking about Microsoft Surface. It’s a very hot and disputed topic. Some critics say that the tablets (there are two) will fail, while others are enthusiastic. There's heated discussion about price, too. For me and many others like me, Surface is the only tablet that can be used for more than common tasks -- certainly not Apple's iPad. Windows is a very powerful platform, and most professionals need it for work. I want to tell you why you need Surface. Even if you know the specs -- well, what little Microsoft disclosed -- there’s need to discuss them (again) from another perspective. The specs serve a purpose choosing the right tablet for your needs; choosing wrong is not an option. Microsoft Surface with Windows RT: 10.6-inch ClearType HD display; 32GB/64GB storage; microSD, USB 2.0 and Micro HD Video ports; 2x2 MIMO antennae; and Office 15. Weighs 676 grams and is 9.3 mm thick. Microsoft Surface with Windows 8 Professional: 10.6-inch ClearType HD display; 64GB/128GB storage; microSDXC, USB 3.0, Mini DisplayPort Video ports; and 2x2 MIMO antennae. Weighs 903 grams and is 13.5 mm thick. Let’s take them one at a time. Surface with Windows RT brings something that no Android or iPad offers. Microsoft puts Office 15 on the table (or tablet, if you will). Most of us edit documents, make presentations, need a reliable email client and so on. Having such a powerful program as Office preinstalled is reason enough for many to choose this tablet over any competing one. There are alternatives to Office, but none are as good nor as useful. I’d be lost without Office. So far, Microsoft Surface RT is the only tablet that can satisfy this need for me. But there's more. Having a keyboard does wonders for productivity and that USB port isn’t there for bragging rights. 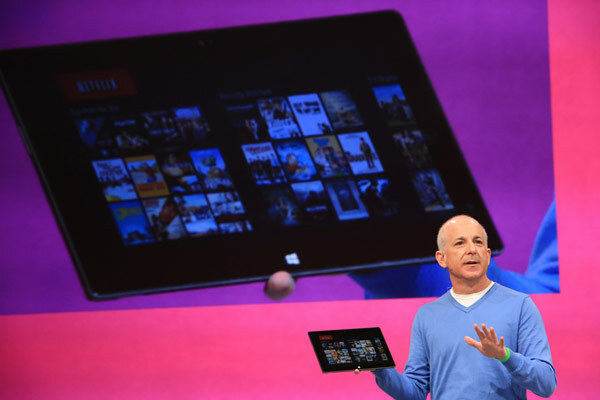 What Microsoft wants to do is give people a tablet that really can replace a computer. The case doubles as a keyboard and the tablet has a kickstand. Plug in a mouse and you’re ready to go everywhere, while doing your work. This has more potential than many people imagine. Is it the right tablet for you? Much depends on your needs and what you like personally, but I am sure that for many people that would like a tablet and professional programs installed, this fits the bill. Can it fully replace a desktop or laptop? I think it can, but only if the applications support Metro or the ones designed for Windows 8 (desktop version) and below will work as intended on Windows RT. If they don’t, Microsoft has got a solution for that too. This one appeals more to me. I need processing power, and the balance with light weight is a great bonus. Surface with Windows 8 Pro weighs 903 grams, or 2 lbs, and it can fully replace my laptop, and should run every single program I need. My world revolves around using design programs like AutoCAD, structural analysis applications such as Robot Structural Analysis Professional and engineering calculation software like MathCAD. I study civil engineering and the programs that I need only work on Windows. There’s no other way for me to do my assignments other than having the right and only software platform available, which (light bulbs start glowing) is Windows. Some other well-known programs that will fit this scenario: Adobe Photoshop, Acrobat Reader Professional, Maya3D, VMware (if supported by the CPU) or Microsoft Virtual PC and many, many others. The list could go on, but you get my idea. If developers make their current programs compatible with Windows RT, the other Surface will also make waves and it will be the more significant one of the two. Its competitors, mainly the iPad, don't offer the range of apps -- and certainly not those running on a real PC operating system. Price is a big consideration, but a mystery. Microsoft hasn't said how much either Surface will sell for, other than to say RT will be competitive with iPad and Pro with ultrabooks. A lot of speculations are made on price and the most current rumors are just that, rumors. The Windows 8 Professional model will be more expensive due to better specs, if nothing else. You’re faced with two choices: Get a Surface tablet and do real work, or get another tablet -- Android or iPad -- and do your work on a PC. From this point of view, I find Microsoft Surface to be a no-brainer. Editor's Note: Don't forget third-party tablets running Windows RT or Windows 8 Pro as alternatives. I think that Microsoft didn’t design these tablets for everyone that might be interested in one, but those people who want the power of Windows and the applications behind it. People who have work to do, who need to be productive, not those who sit around and play. If this is what Microsoft has in mind, Surface is it. But the price has to be right. And as we all know, the right price doesn’t always mean cheap. The best tagline for the new Microsoft Surface is: "The whole is greater than the sum of its parts". I’m very interested in hearing your opinion about whether these tablets would fit your requirements for a tablet and how they could influence your day to day living. Please share in comments.